This exhibition and events programme brings together the work of the six graduating students from the MA Sound Arts at London College of Communication, UAL. The show presents an opportunity to encounter the rich diversity of practices emerging from this course, now in its eighth year. Playfully borrowing the title of Judith Butler's eponymous 1993 book on the iterative nature of performativity and its political implications, the works of the six artists, foregrounded in the embodied processes of listening, engage questions of gesture and labour, translation and memory, amongst other critical interests, in work that spans performance, installation and sound poetry. David Bloor’s Care Work is an ongoing daily performance with a self-made artificial intelligence device that questions our dependency and yet detached position from the intelligent systems we increasingly rely on. 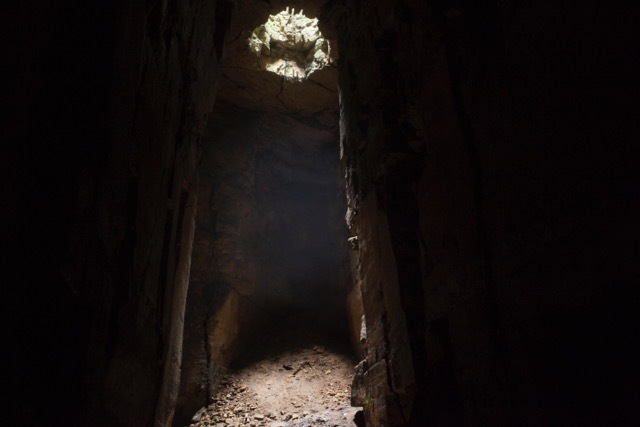 Miles Bowe builds on a practice of ‘lying down in darkness’, recording the sounding of objects associated with the labour of historic mining in Bath's underground stone quarries, to compose Hollowed Ground, a four-channel installation. Developing from an interest in the gap between perception and description, Wan-Chien Cheng’s audio-visual installation involves itself, through a sequence of connected territories, in sounds normally heard but not listened to. Tomoko Hojo presents narrations of her own sonic memories, translated from her native Japanese into English and re-told by multiple voices, dispersed in multiple specific locations throughout the house. Adam Jaro’s sound poetry, . - + # Ö (voices lost), questions and illustrates a divide between human and machine, playing on language and meaning lost in the computers’ continuing attempts to understand us. Rahel Kraft builds an ongoing episodic composition through daily performance, utilising sensors and physical movement to modulate and extend her voice. The Research Soirée is introduced by and concludes with performances by Rahel Kraft and David Bloor, and offers an opportunity to observe the processes of research and practice of the graduating students. The students will present their research via poster presentation, and the two invited guests, Zeynep Bulut and Dan Scott, will engage the audience in a conversation about the works in the show to produce a response on the presence of bodies and matter – aesthetic, political and performative – present in the exhibition. Zeynep Bulut is a Lecturer in Music at King’s College London. Prior to joining the Music Department at King’s, she was a research fellow at the ICI Berlin Institute for Cultural Inquiry (2011–2013). She received her Ph.D. in Critical Studies/Experimental Practices in Music from the University of California at San Diego in 2011. Situated in the fields of voice, experimental music and sound studies, her scholarly and creative work examines the emergence, embodiment and mediation of voice as skin. Her most recent publication, Silence and Speech in Lecture on Nothing and Phonophonie appeared in the special issue of Postmodern Culture, Voice Matters, edited by Nina Sun Eidsheim and Annette Schlichter (May 2014). Dan Scott’s work incorporates installation, performance, and participatory practice and often investigates the politics and poetics of listening. Scott works as a visiting lecturer at The Royal Central School of Speech and Drama where he tutors in sound and scenography, and is currently engaged in a practice-based PhD at the University of the Arts, London, researching practices of listening in contemporary art. Recent projects include Liberation Through Hearing, outside the Royal Academy in London, Yesterday at Harewood House in Yorkshire, Advantageous Recordings at the De La Warr Pavilion, the monthly event Athelstan Sound in Margate, and the Sonic Trails series at Tate Modern. London College of Communication (LCC), part of University of the Arts London (UAL), is a pioneering world leader in media and design education and research programmes geared to preparing students for successful creative careers. Our courses are known for being industry focused with students taught by an inspiring community of experienced academics, technical experts and leading specialist practitioners. Generations of award-winning photographers, filmmakers, screenwriters, journalists, broadcasters, designers and advertising and PR professionals have started their careers at LCC, and today’s graduates continue to be highly sought after and win prestigious international awards.